What evidence is there for the deity of the Holy Spirit? 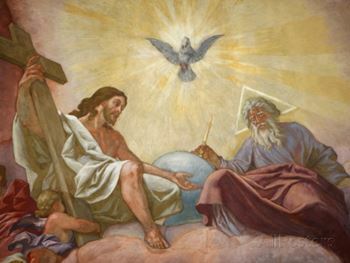 The Holy Spirit is seen as the Spirit of God (Gen 1:2; 1 Cor 3:16). The Holy Spirit is seen as the Spirit of Jesus Christ (Acts 16:7; Gal 4:6; 1 Pet 1:11). The Holy Spirit is seen as distinct from God and Jesus Christ (John 14:26; John 15:26; John 16:7-14). All knowing with infinite awareness, understanding and insight (Isa 40:13-14; 1 Cor 2:10-11). Present everywhere at the same time and simultaneously in all Believers (Ps 139:7-10; 1 Cor 6:19-20). All powerful with unlimited power (Job 33:4; Rom 15:18-19). When the Holy Spirit is described as the seven Spirits of God, it is in the context of an individual Being (Zech 4:1-10), comprised of seven individual entities (Rev 4:5), a part of God and omnipresent, and possessed by Jesus Christ (Rev 5:6).